Once again, the BFI have several romantic films for you to watch with loved ones. 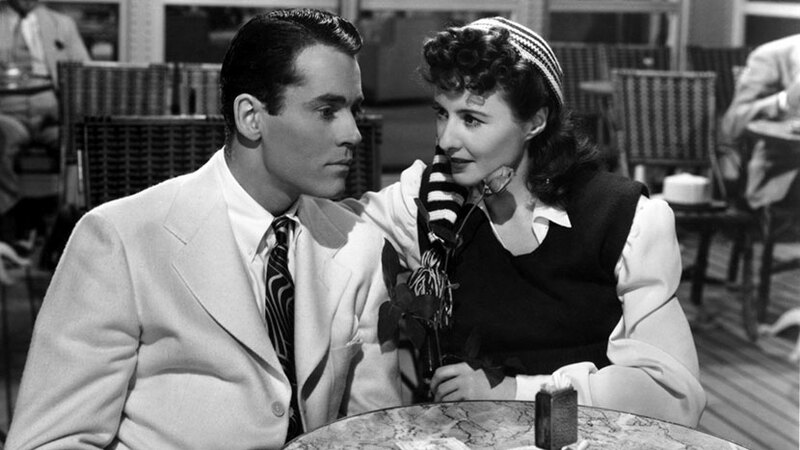 Barbara Stanwyck gets more than she bargained for as a con-artist trying to swindle a handsome millionaire in Lady Eve. Beautiful Thing is the feel good story about falling in love with the boy next door. And Jennifer Tilly and Gina Gershon play two women who fall for each other, despite the complication that one of them is a gangster’s moll in Bound. Enjoy an evening of romance at Southbank Centre’s Valentines Day Gala. Find some of the most ardent, passionate music ever written. The Philharmonia embarks on a whirlwind tour of turbulent operatic love stories by Verdi, Bizet and Mascagni, and Tchaikovsky’s aptly named Fantasy Overture for Romeo and Juliet. Take this Valentine’s day to the next level with either a champagne, chocolate or cupids capsule experience on one of London’s most iconic landmarks, the London Eye. Find out more about each package and book here. First date? Head to Leake Steet’s board game café, Draughts. With a library of 800+ board games (and an extensive drink’s menu) we can guarantee no awkward silences. The perfect excuse for you and your friends to indulge. We recommend you immerse yourself in Wyld Tea, Dandelyans alcoholic take on afternoon tea. Kicking off from early evening you’ll be served up colourful cocktails, divine décor, tea and scones. MBNA Thames Clippers are making sure every part of your day is full of romance, including the transport. Whether you’re heading out for dinner, to the theatre or the London Eye, travel in style by enjoying a glass of bubbly from the on-board bar and marvelling at the sights of London. Skylon are putting on the most romantic of romantic spreads. With a five-course menu especially created for Valentine’s day, you’ll be starting with a scallop ceviche and finish with a delicate Red Velvet, white and bitter chocolate sharing dessert. Topped off with stunning views of London, you will practically see romance in the air. Take a look at the attractive offer's Marriott County Hall have on to ensure the most delectable of evenings. Head here to see all offers. Celebrate this Valentine’s Day with Curzon at Sea Containers London. Curzon Sea Containers will be showing the all-time favourite, Notting Hill which has been remastered in celebration of its 20th anniversary. The special Valentine’s packages are available to book featuring a half bottle or bottle of Champagne to share alongside two ‘Love cupcakes’. For the film and interiors lover. The Oxo Tower Restaurant and Brasserie have pulled out all the stops to make this Valentine's day menu something to remember. With the likes of cured duck breast with gingerbread and fresh truffles, wild sea bass with clams and Champagne sauce, to chocolate and chestnut mousse with pears and almonds and a view over London, you can rest assured you'll be oh so satisfied.